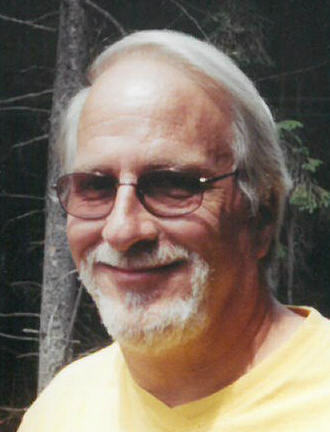 Mark Albert of Kenosha passed away on Thursday, February 7, 2019. He was born in Kenosha on August 29, 1953 along with his twin brother, Paul, to Harry and Evelyne (nee: Wolcott) Albert. He spent his formative years growing up in Kenosha and later San Francisco, CA. His family returned to Kenosha in 1968 and Mark graduated from Tremper High School in 1972. He also attended KTI (Kenosha Technical Institute) for auto body repair. Mark lived and worked for a short time in New Port News, VA shipyard, returning to Kenosha to work at OMC/Johnson Motors in Waukegan, IL for 15 years and then retiring from Froedtert South in 2015. Along the way, Mark met his best friend, Lori Mullaly and they married in August, 1982, and with their son, Ryan, it was a perfect family. Ryan was his pride and joy. Mark loved being a great husband and father. Spending time in Northern Wisconsin, camping, fishing, boating, attending car shows and swap meets and selling on E-Bay were his favorite pastimes. His passion was all things HUDSON, especially his 1951 Hudson Derham limo and all collectibles. Later his collection turned to vintage boat motors and antique barbershop items. Mark always said it was the thrill of the hunt he enjoyed and the friendships made along the way. He is survived by his wife, Lori; his son, Ryan (Courtney Bjorn) Albert; his brothers, Paul (Sue) Albert, Ken (Barb) Albert and Jack (Judy) Albert and his sister, Donna (Champ) Ruffner. The family would like to extend a special thank you to: Dr. Joe Garretto for his guidance, their friends and co-workers at Froedtert South who supported them, everyone at Brookside Care Center for making them feel at home and cared for, Hospice Alliance, Inc. that held their hands on Mark’s journey and all the family, friends and neighbors that held them up. They are forever grateful.